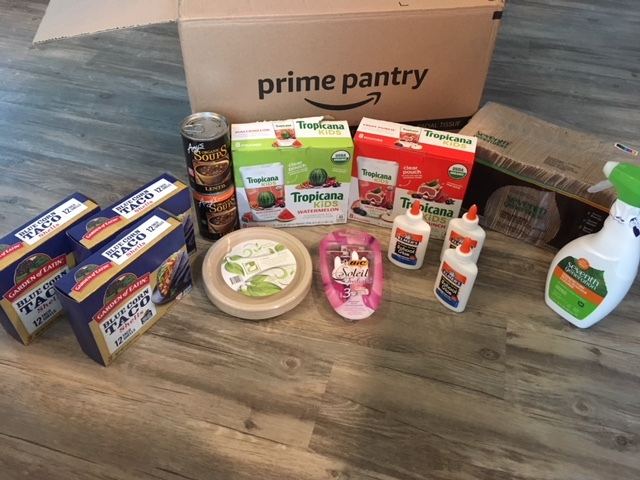 I got 1 Seventh Generation disinfecting surface cleaner, 2 Amy’s organic soups, Seventh Generation 500 ct. napkins, 3 Elmer’s glues, 2 8 ct. packages of Tropicana organic juice, 3 packages of Garden of Eatin’ taco shells, 4 pack Bic razors and a 20 pack of Earth’s Natural disposable plates for $25! All of this would have retailed for near $50 in store! The cleaner, soups, napkins, glue, and razors were 30% off using the coupon code PANTRYSAVING and the taco shells and juice were $6 off 5. – Many natural and organic deals including Kashi, Spectrum, Presto! laundry and paper products, Stretch Island, Arrowhead Mills, Health Valley, Bare, Stacy’s, Garden of Eatin’, Bear Naked, Quaker organic, MaraNatha, Imagine, Hellman’s organic, Izze, Bubly, Tropicana organic, Celestial Seasonings, Earth’s Best and more! Shipping is free on orders $35+.